Yippee! On your next camping trip or backyard BBQ, keep those annoying mosquitos away with the Bite-Lite Mosquito Candles. Conveniently packaged in travel-ready tins, these candles provide you with a natural alternative to chemicals and they smell great too! Made with a proprietary concoction of spearmint oil, lemongrass oil, and citronella oil, these little guys pack a big punch with tests showing that they repel nearly three times the number of mosquitoes compared against regular citronella candles. It’s recommended to place 2-3 candles around the campsite at ground level (rather than on tables), lighting them 15-20 minutes before you plan to sit outside so that the soy wax melts, forms a pool and allows that special blend of oils to evaporate and provide an effective shield of bug protection. Each tin lasts up to 20 hours. 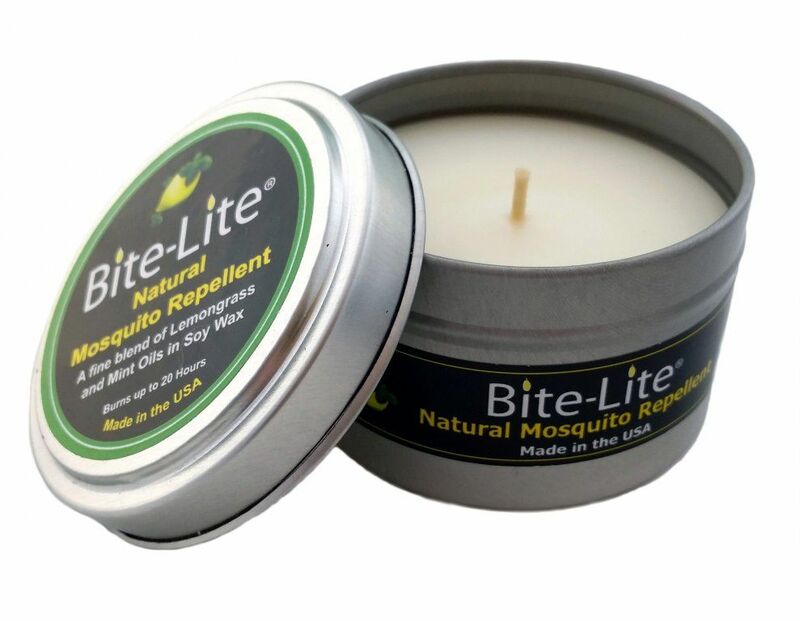 Try Bite-Lite Mosquito Candles for mosquito-free enjoyment outdoors!